All our products contain no synthetic colors, preservatives, gluten, dairy, yeast or wheat. 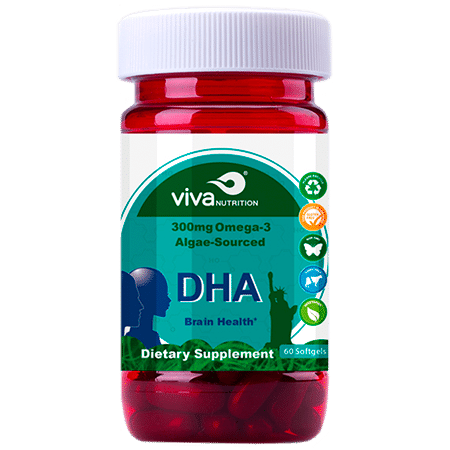 Each of our vivaNUTRITION DHA softgels deliver 300 mg of vegetarian DHA in a smooth, and easy-to-swallow soft gel format. 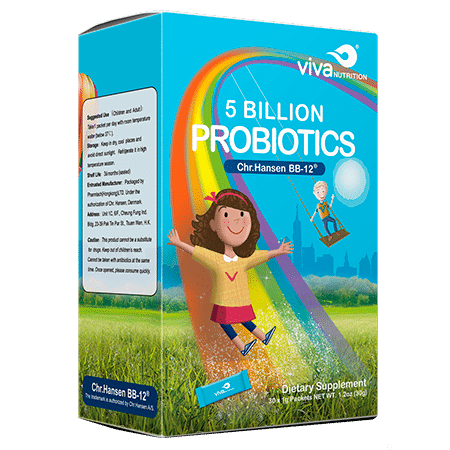 Our vivaNUTRITION® 5 Billion Probiotics contains BB-12®, one of the most widely studied probiotic strains, shown in multiple clinical studies to alleviate occasional digestive distress while supporting a child’s natural defenses. Think Digestion™: How your brain and gut work together for your whole family’s health. Think about all the microbes in our gut – there are trillions of microbes living together to make up a very special environment, what scientists call the microbiome. These microbes are actually very important for the physical and mental well-being for members of your whole family, at every age. Supporting brain health and gut health is what vivaNUTRITION® is all about. There is growing evidence that the microbiome plays a very important role with the brain. The microbiome controls the production of neurotransmitters, the way our body exerts influence on our overall health, mood and behavior. Scientists call this interaction the Gut-Brain Axis, and the vivaNUTRITION® brand is dedicated to support a healthy Gut-Brain Axis for the whole family.